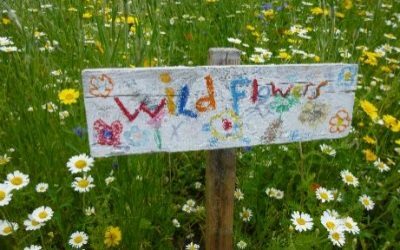 All fairandfunky workshops encourage participants to look at the world around them and empower people of all ages with the knowledge that their actions can have a positive impact on the world around them; both locally and globally. 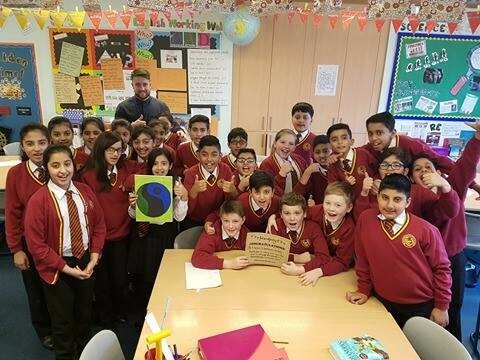 These workshops at Belgrave St. Bartholomew’s Academy focussed on Fairtrade as a way in which each of us can take little steps to change the world. The students listed different roles along the supply chain: from cocoa farmers to packers; from truck drivers to shop keepers. They were surprised at the number of people involved in getting chocolate to our shops. We discussed together how it was possible to ensure every one along the supply chain was paid fairly for the work they did. How can we make this fair? In groups students then had the task of putting all the different roles along the supply chain in order: from bean to bar! This is harder than it sounds! So a video from cocoa farmers in Ghana shared this in more detail. 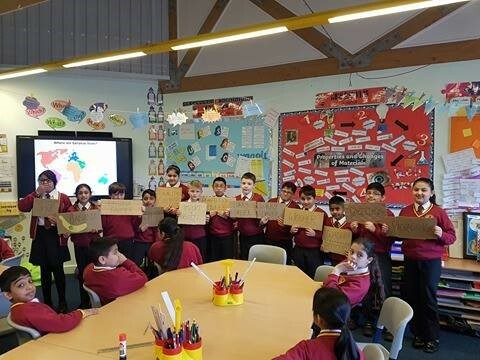 As a class the children then looked at some of the jobs along the supply chain in more depth, considering the roles and responsibilities of cocoa farmers, shops, shipping companies, other farmers and chocolate companies to decide the percentage each should be paid. The classroom was full of animated discussion. The children were asked again – how can we make it fair? 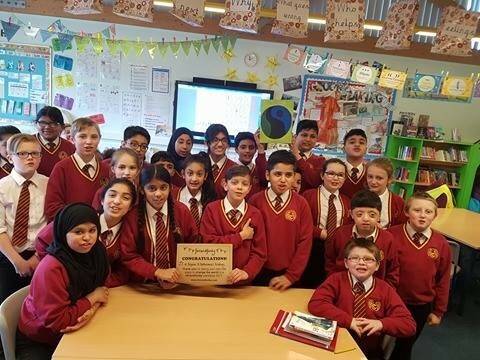 Congratulations to all the Year 6 children from Belgrave St Bartholomew’s Academy for taking their own little steps to change the world in a fairandfunky workshop. The children first considered the supply chain of bananas: from farm to fruit bowl. The students suggested different roles along the supply chain: from banana farmers to shipping companies; from truck drivers to shop keepers. They discussed how it was possible to ensure every one along the supply chain was paid fairly for the work they did. How can we make this fair? The children then looked at some of the jobs along the supply chain in more depth, debating the roles and responsibilities of farmers, shops, shipping companies, plantation owners and importers and ripeners to decide how much each should be paid. The classroom was full of animated discussion around the livelihoods of each person along the supply chain, with some very passionate debating. Each group then revealed how much they thought each role should be paid, with higher percentages going to banana farmers and shipping companies; leaving shops with the least. In reality the opposite is the case – farmers are paid very little for the work they do and this was received with gasps of horror and cries of “It’s not fair!” from the children. 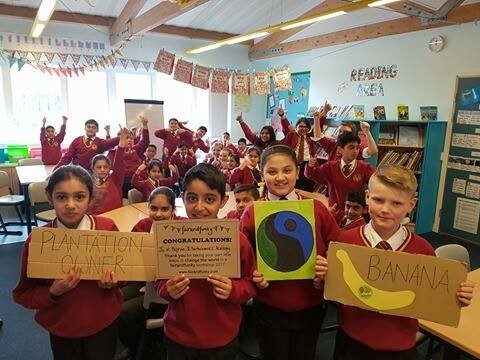 Students were then taken to a banana farm in Colombia to meet Foncho, a Fairtrade banana farmer, to discover how Fairtrade can make life fair for banana workers and their communities. And the difference we, as consumers, make when we buy Fairtrade. Congratulations to all the Year 5 children from Belgrave St Bartholomew’s Academy for taking their own little steps to change the world in a fairandfunky workshop.